While British Parliament Buildings at Stormont in British Occupied Ireland have round the clock guards and thousands of British paramilitary operatives, backed up by 3,600 specially secretly trained police from England, patrolling the streets of Ireland, ahead of the G8 Summit at Lough Erne Resort in Co Fermanagh, British Occupied Ireland on June 17 and 18, it has come as a shock to many Irish citizens to see British drones regularly flying in Irish airspace recently. Citizens in the Irish republic are angry, that their airspace has been invaded by British drones and don’t want a ‘Big Brother’ eye-in-the-sky, with the capacity to do a virtual ‘strip search’ of their lives from 1,500′ up, trolling around Irish skies with unregulated impunity.This is a very real potential “on-demand” intrusion into their Irish lives on all parts f Ireland by the British and the shredding of their few remaining Irish constitutional rights. Recent conflicts in Afghanistan, Libya and Iraq have seen the British involved in almost 1,200 drone strikes according to data released. British drone crews on the ground are responsible for a significant portion of the killer strikes in Afghanistan. Irish commentators say it is only a question of time before Irish family members are regularly killed by British drones. The British MoD has without explanation ceased updating the weekly RAF Operations update page since the sightings of the British predator drones in Ireland gegan. We were hoping this was temporary. We have seen RAF updates elsewhere but they have not included any information about their drones flying over Ireland. We will try to find other sources but for the moment it appears there is now a complete media blackout about UK drone flights in the public domain, with the usual British sponsored censorship in Ireland with regard to their numerous clandestine activities in Ireland. There are unconfirmed reports of the British negotiating secret modalities, to semi-legalize drone operations, unofficially, with Irish free state officials. Under the arrangement, the UK would notify Ireland through by fax about intended strikes, with the relevant authorities in Dublin furnishing an acknowledge receipt. The report, has never been denied and it must be presumed it is accurate. Politicians in other countries who permit drone flights, have been handsomely rewarded, with Pakistan receiving more than 2 billion dollars. According to the London-based Bureau of Investigative Journalism, the drone strikes in Pakistan have killed up to 3,603 people since 2004, many by British operatives The wholesale drone slaughter of civilians, including women and children, in drone strikes would obviously strain British-Irish relations if duplicated in British Occupied Ireland or the Free State. 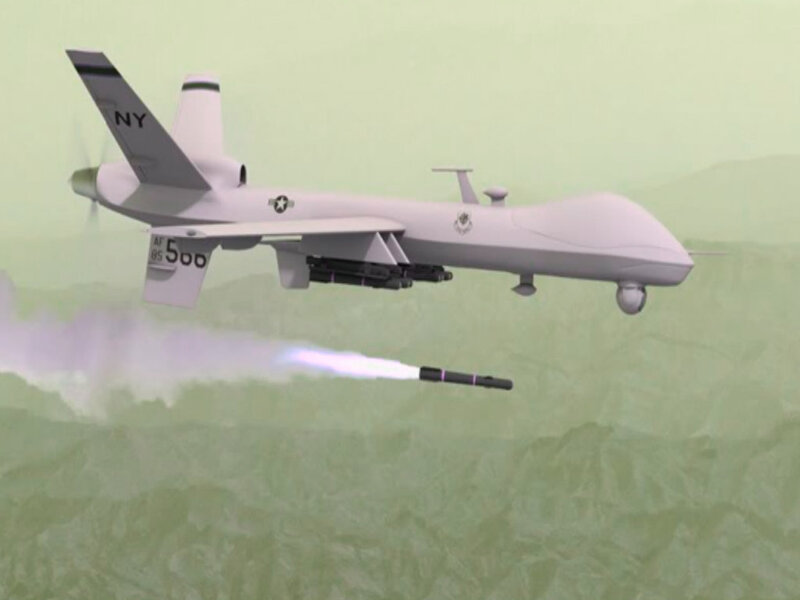 A report by the Stanford Law School and the New York University School of Law gives an alarming account, of the effect of assassination drone strikes would have on ordinary Irish people. According to the London-based Bureau of Investigative Journalism, the United States’ drone strikes in Pakistan have killed up to 3,603 people since 2004. The UK began using armed drones in Afghanistan in Oct 2007 after initially purchasing three Reapers from General Atomics in 2007, costing £6m each. The MoD confirmed in mid 2008, that a British Reaper UAV fired its weapons for the first time, but refused to give any further details. While currently the British Reaper and Predator drones are mostly physically in Afghanistan and Iraq. As in Ireland control is via satellite.Ground crews launch drones from there and then operation is handed over to controllers at video screens. One person ‘flies’ the drone, another operates the monitors, cameras and sensors, while another person is in contact with the commanders and the lastest British mentored, Irish warlords, who are replacing the former Irish partners of the British of the now failing Peace Process in British Occupied Ireland, with British armed drone flights escalating dramatically recently, with the G8 summit being used as political cover. The only way for the Irish to protect their country and defeat British drone attacks, is to develop a drone killer drone. These British killer drones communicate by satellite link, so no matter how secret they try to be from the ground, they must leave a signature, such as a communication antenna, with their satellites that resonate at a particular frequency. So if the Irish fly a high altitude drone, above the British killer drones in Irish airspace and ping the resonating frequency of the British killer drone's communication antenna, the Irish will be able to get responding signals to locate the British positions in Irish airspace and then eliminate, the invading British from all Irish airspace including British Occupied Ireland. As well as armed drones, the UK currently has several types of surveillance drones in Irish airspace, notably the Watchkeeper, jointly produced with an Israeli company Ebit and Thales UK. The British purchased 54 Watchkeeper drones at a cost of £860m with the first ten built in Israel and production gradually transferred to a state of the art facility in Leicester. Testing was at Aberporth in Wales, with reports the Watchkeeper often armed over Irish airspace. Thes UN’s Special Rapporteur on extrajudicial, summary or arbitrary killing, Philip Alston, said that the use of drones is ‘targeted killing’. He has repeatedly tried to get the UK to explain how they justify the targeted killing of individuals under international law. The UK has refused to answer. In a report to the UN he said the UK government “should specify the bases for decisions to kill, rather than capture particular individuals and should make public, the number of civilians killed as a result of drone attacks, and the measures in place to prevent such casualties”. The UK military and secret services are currently involved in increasing civilian uses of remote sensing drones, to expand their lucrative industrial war complex markets, including the use of drones for domestic surveillance in the UK and in British Occupied Ireland. Drones will dramatically expand the British surveillance state, to include all of Ireland. With convergence of other technologies, making possible machine recognition of Irish faces, behaviours, and also monitoring individual conversations in the UK and in Ireland. The Irish sky, so to speak, is currently the limit for the British with Tanaiste Gilmore and Zionist Shatter focused on the underground.